Busy and long day today. Started at 8.30am and likely to end at 11pm. 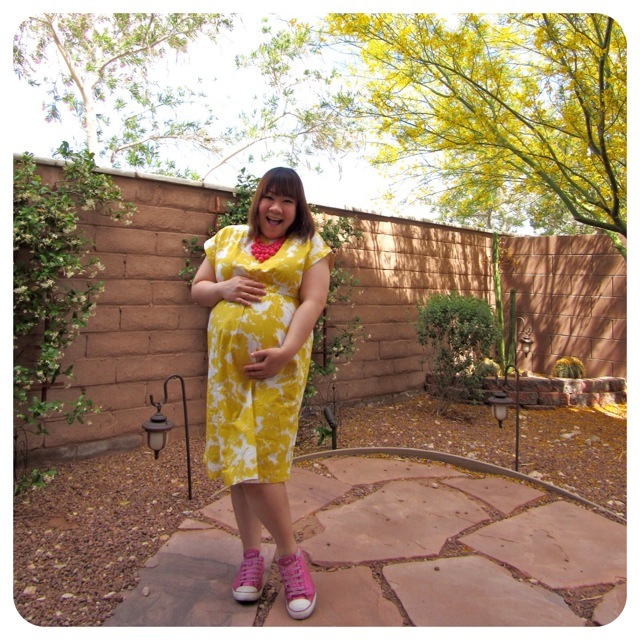 This is a quick post on a comfortable outfit that will take me through this day. 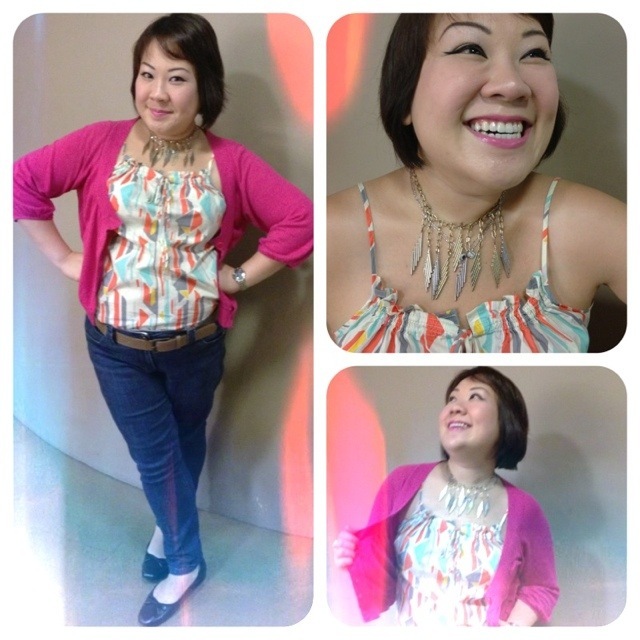 Categories: Fat-shionista | Tags: accessories, americaya, ballet flats, belt, blogging, dorothy perkins, Fat Friendly, Fat-shionista, fatshion, fatshionista, gap, iphone, next ankle grazer jeans, oliver bonas, online shopping, outfit of the day, plus size, plus-sized, singapore, warehouse, what I'm wearing today | Permalink. I was the walking personifcation of the doldrums for the last few days because things at home are really grey. I thank my friends for keeping up the conversations while I was practically ignoring everyone else. Luanne and Pearlyn encouraged me to put some colours on – inspired by Lilli of Frocks & Frou Frou, I made an attempt today. I’m a walking rainbow today and these pictures are courtesy of Pearlyn’s patience with the ogre in me for the last few days. I couldn’t decide which picture (thanks Pearl for taking a ton of them), so I’m putting up 3. Special thanks to Luanne who reminded me that eyeliner is my friend and cheered me on to doll up! edit: I’ve been asked several times where I got the dress from – it’s from GAP but not from the shops. I got it 2nd hand, it belonged to someone else and has been worn before (not immediately of course). It could’ve been from several past seasons, I really have no idea. 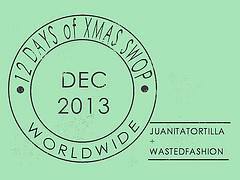 Categories: Fat-shionista | Tags: accessories, Fat Friendly, Fat-shionista, gap, make up, pink, warehouse | Permalink.